Mash are throwing another party this Saturday, and this time they’re dipping into the world of Dubstep. 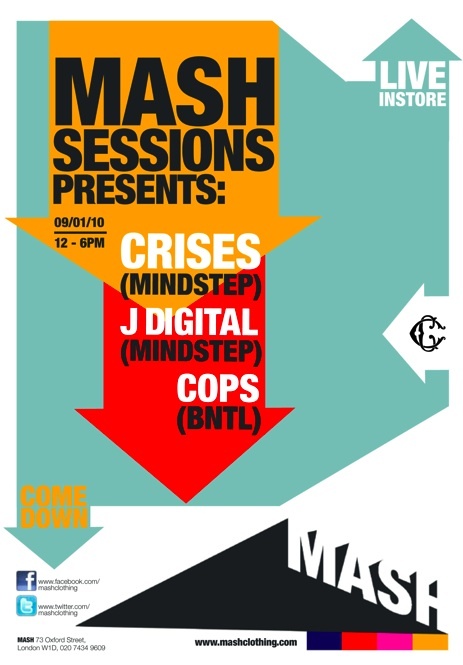 It looks to me like a MindStep take over, featuring MindStep resident J Digital and being headlined by MindStep owner and Rinse FM badman Crises. This should be a wicked night with plenty of top shelf tunes being spun with skill. Come down, party, skank, shop the sales and say hello.